Albuquerque Mayor Tim Keller welcomes the 2019 BMX Spring Nationals to the Duke City, where the sport’s top athletes will be vying for a spot at the 2019 World Championships in Belgium. 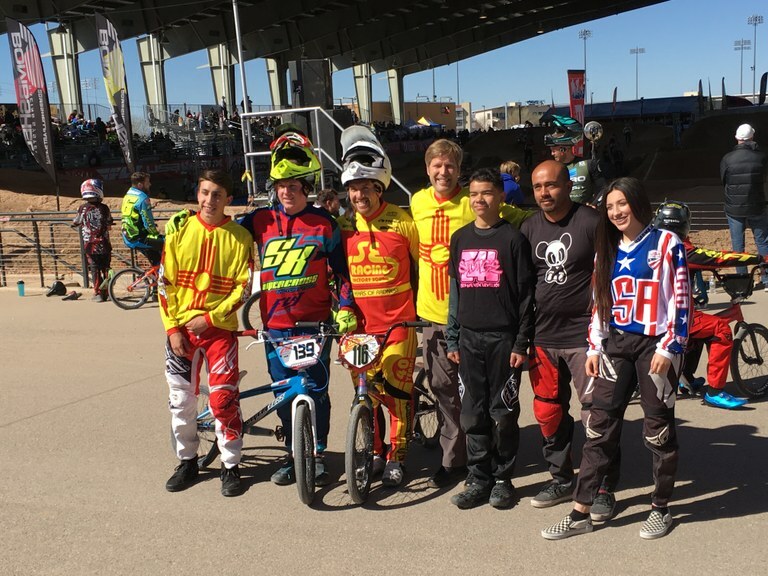 Athletes of all ages will compete beginning Friday, March 15 through Sunday, March 17 at City of Albuquerque BMX Track, a facility co-managed by the City of Albuquerque Parks & Recreation Department and Duke City BMX. Albuquerque has served as the host city for this prestigious event for the past twelve years. This year’s event is expected to attract more than 2,700 attendees and bring in more than $1.1 million in direct spending to the city. Action kicks off at the track Friday with practice beginning at 1:00 p.m. and the World Championship Qualifier race at 5:00 p.m. Saturday practice starts at 7:30 a.m. followed by racing action at 11:30 a.m. Sunday’s races will begin promptly at 8:00 a.m.
For more information on the 2019 BMX Spring Nationals, visit the Duke City BMX website at https://www.usabmx.com/tracks/1046. About City of Albuquerque BMX Track: The City of Albuquerque’s BMX track is one of the largest covered BMX facilities in the country. The track is home to numerous state, national, and even world champion BMX riders, along with countless kids on bikes from ages two and up. Located directly east of the Isotopes’ Baseball Park, in the sports arena district of Albuquerque, the BMX track welcomes riders on Wednesdays, Fridays, and Sundays almost every week of the year, in addition to several special event weekends.